Interview between Pierre Bélanger,S.J. and David Shulist, S.J. while in Rome at the canonization of St Kateri Tekakwitha. An interview with David Shulist, S.J. ceremony. What were your first impressions? opinion? How are they significant today? and understood what we call today “the paschal mystery” – because she lived it herself. of our present relationships or even by what is considered most important in our culture. the time, when people practised their Christianity in a different style. PB S.J. 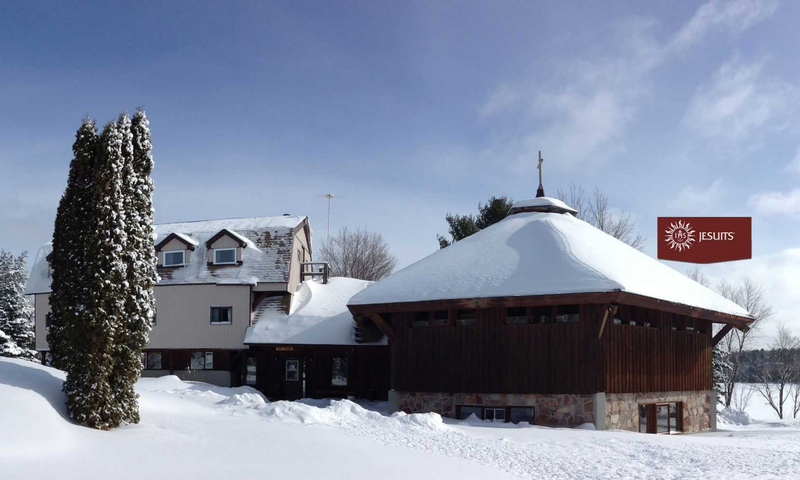 : Is Kateri an important person for the First Nations communities you work with up in Northern Ontario? especially for women and above all for mothers and grandmothers. PB S.J. : Even though she didn’t have any children? DS S.J. : It’s true she wasn’t a mother, but women feel that Kateri walks on the same path as they do, she prays with them, she comes to them in their dreams. I know a woman called Gerry, and she told me that she’s talked with Kateri as if she was right there, in person, in front of her. It wasn’t the expression of some fantasy. It was a real experience. Gerry is in a mixed marriage, she’s married to a man from another community, like Kateri’s mother was. So she sees Kateri as a sort of guide, an advisor, the person she meets with to pray. taking drugs, or that family conflicts have been healed. DS S.J. : In fact the people up here talk about her as anishnabe and as a First Nations person. as well as on the shores of the St. Lawrence? Are we talking about a “Jesuit saint”? people and in the life of the Church, is close to what the Jesuits understand as sanctity. between different cultures. In fact she holds a fascination for both indigenous and nonindigenous peoples. PB: Is building bridges like this one of the roles of the Society of Jesus? affected by the life of Christ who suffered and was sacrificed for us. It’s very meaningful. her canonization, God is giving her to us again, she is given to the world of our own time. Canonization is a celebration of the gift that God has given us. DS S.J. : Yes. The canonization of Kateri signifies that the love of God is alive and active, that God stays in relationship with us, and that the love of God has come near, it is real, through her. I think also that this event brings us much hope, the hope of seeing Canada as country that is alive, more human, a symbol for the world that a great diversity of people can live together and live in peace. 3. Fr. David Shulist S.J.